We are so thrilled to announce our NEW Champion Lonecreeks Yours Truly.. aka Harley of Degrasso's Jacob V Waxel x Lonecreeks Kuba. This is a special girl who won most of her points being owner handled. 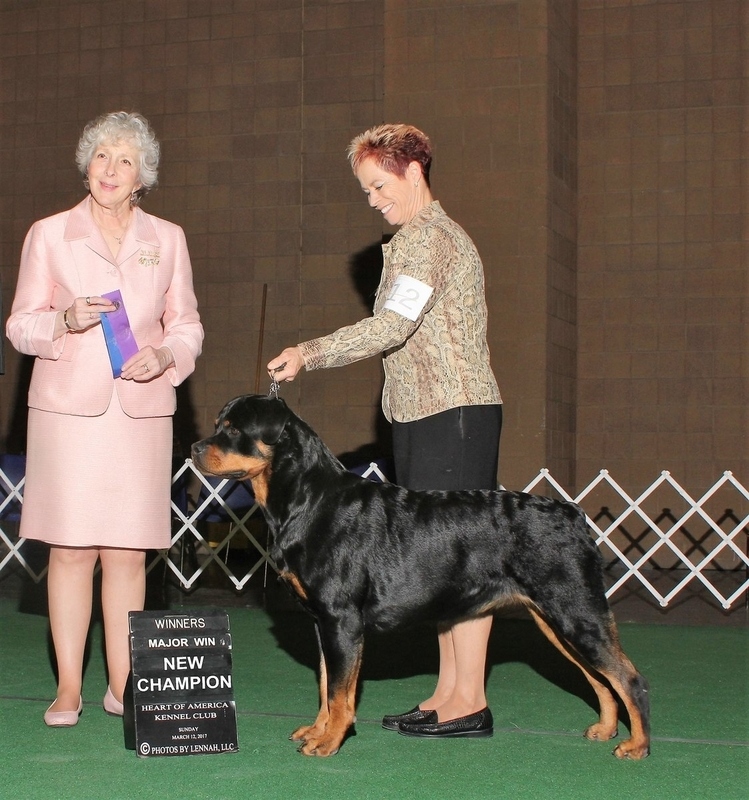 She is a magnificent representation of the breed and we are honored to have her in our breeding program. Harley won a 5 point major in Springfield Missouri, under Judge Mark McMillian in Nov 2016 winning WB and received Reserve BIS in the Owner Handler ring. She also won a 5 point major under Judge Sulie Greendale-Paveza in Kansas City Missouri in March 2017, being beautifully handled by Julia Foster to finish her championship. We are excited to see what many more adventures Harley will have as we do some fun things to keep her busy.